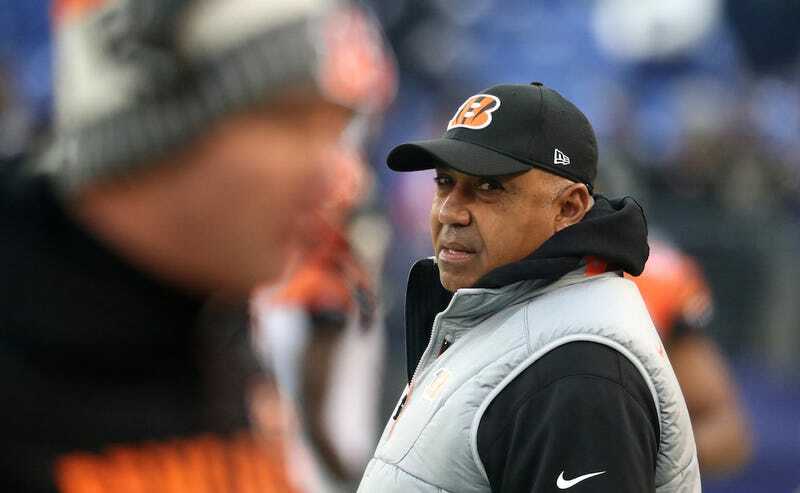 Though all the evidence pointed Marvin Lewis finally leaving the Bengals—the usually reliable Adam Schefter reported on Dec. 17 that Lewis would be gone after the season—the team announced today that Lewis will receive a two-year extension. What? Seven postseason appearances, and not a single victory. The Bengals finished 7-9 this season after tripping up the Ravens in Week 17 for a 31-27 win. Owner Mike Brown might’ve been too caught up in Bills fans’ warm feelings and accidentally thought his team also made the playoffs.